From G1 (as a negative particle) and a derivative of a compound of G2596 and G2572; unveiled: - uncovered. Akin to G2813 and G2928; to cover up (literally or figuratively): - cover, hide. The above scripture tells us that if a woman is uncovered/unveiled when she prays or prophecies that it is a dishonor to her head. Further reading will indicate that the woman is the glory of the man and the man is the glory of Yahweh. A woman who prophesieth with her head uncovered/unveiled overshadows the man’s glory and usurps the authority that she is under. The woman was made to be a helpmeet to the man, the man was made to give glory and honor to Yahweh. From G4012 and G906; to throw all around, that is, invest (with a palisade or with clothing): - array, cast about, clothe (-d me), put on. Reading the above explanation, we gather that the covering is clothing or array that you put on. Your hair is always on your head, it is not something that is put on and taken off at will! Also, note that it says that the hair is A covering, not the covering. If Yahweh was talking about long hair in verses 4-7, why didn't He say, "Every man who prays or prophesies with long hair dishonors his head...Every woman who prays or prophesies with short hair..."? Also, why would the length of hair be an issue only when praying or prophesying? How could a woman only have long hair when praying or prophesying? Neuter of a presumed derivative of G4016; something thrown around one, that is, a mantle, veil: - covering, vesture. Therefore she took a veil to wrap over herself. When we approach Kings, dignitaries and especially our Heavenly Father we do so with submission and reverence. One way that we show submission is by wearing a veil or headcovering. In other cultures you may bow down and offer gifts as a token of acceptance. Our dignitaries when visiting other countries and their rulers will bow to them and offer presents. Why do we offer this form of submission to earthly beings but cannot wear a physical covering in submission to our Creator? As we have seen from previous verses and descriptions, a women’s long hair is her glory, and the glory that she has been given is to be for her husband and ruler. No matter how you look at it, women were not created before men, the woman was created to be a helpmeet and servant to the man. One way to look at the authority and the positions that women have been given is similar to an employer and employee. Your supervisor is essentially accountable for your actions, someone who gives you your assignments and gives an answer to their (headship) about the progress or lack of it if that is the case. In the same way your husband is the supervisor, he will have to answer and give an account for your actions that he was aware of on judgment day. Therefore, if he gives you an assignment and you go over his head and approach the Father, is this not usurping his authority and his covering is not available to you? The question may come up of single women who are not married. Although a woman does not have a husband, when she is coming to give honor to her Creator, the concept is still there that she is in submission to Yahweh. When Moses approached before Yahweh was he submissive or did he come before Him emboldened? Exo 3:6 Moreover he said, I am the Elohim of thy father, the Elohim of Abraham, the Elohim of Isaac, and the Elohim of Jacob. And Moses hid his face; for he was afraid to look upon Elohim. Whether a man or woman, we notice that when they are in the presence of the King, that they were NOT arrogant or proud but had an attitude of subservience to their maker! You will notice that even in the description of the temple that a veil/covering was present to separate those who are not righteous from entering into the Holy Place. Feminine active participle of the same as H6531; a separatrix, that is, (the sacred) screen: - vail. From H5526; a cover, that is, veil: - covering, curtain, hanging. From a compound of G2596 and a congener of G4072; something spread thoroughly, that is, (specifically) the door screen (to the Most Holy Place) in the Jewish Temple: - vail. We notice that in the Old Testament that at certain times men wore headcoverings. It would seem that since Yahshua is our High Priest, he would relieve this role from an earthly High Priest. Also, Yahshua bears all our iniquity, and goes before the Father for us and intercedes. Exo 28:40 And for Aaron's sons thou shalt make coats, and thou shalt make for them girdles, and bonnets shalt thou make for them, for dignity and for beauty. As you will notice these bonnets and hats were made for dignity and beauty and for serving in the temple. We do not see these bonnets being worn by all men in the Assembly hall, nor were they worn in daily activities of living. From H6286; an embellishment, that is, fancy head dress: - beauty, bonnet, goodly, ornament, tire. Among the Jews the abundance of the hair was considered to betoken physical strength and perfection (compare 2Sa_14:25-26), and baldness was regarded as a grave blemish (compare Lev_21:20 note, Lev_13:40 ff; 2Ki_2:23; Isa_3:24). Thus, the free growth of the hair on the head of the Nazarite represented the dedication of the man with all his strength and powers to the service of Yahweh. Other examples of headcoverings in the Old Testament on men were when they wore them at times of mourning or sadness. Another view of headship is that it shows deep humility and reliance on the person that you are in submission to. When we appear before our Heavenly Father with our head covered we acknowledge our submission to Him and His authority and are seeking protection and reliance on Him that we alone cannot attain ourselves. Even when I am alone in my prayer or studies I cover my head in recognition of my place in the ruler-ship of mankind. According to several sources in the Scriptures single women were under the leadership of their earthly dad’s until they were married. Once they married they were now under the leadership of their husband who will petition the Father on their behalf. Vows could not be made without the approval of your earthly dad or husband. The scripture above is referring to when a woman is praying or prophesying. I have also heard statements made that a women does not need a physical covering as her hair is her covering, if you read the scripture above, it states “with her head uncovered, …even all one as if she were shaven.” If her hair is her covering then how is her head uncovered unless she is shaven or shorn? Unless you have shaved your head you will have hair making this verse a moot point! If I read the above scripture with the meaning that my hair is my covering, I would gather that if I don’t have hair to cover my head that I need to be shaven, but if it is a shame for me to be shaven let me have hair. If I don’t have hair then I am already shaven and am “shamed”. I must then draw a conclusion that my head needs to have a physical covering besides my hair. History of headcoverings show that from the very beginning women have been wearing headcoverings or veils until fashions or groups decided that it was no longer necessary to wear them. There are many religions that formerly supported the use of headcoverings in services but have later changed to their stance due to popular demand. A primitive root; to loosen; by implication to expose, dismiss; figuratively absolve, begin: - avenge, avoid, bare, go back, let, (make) naked, set at nought, perish, refuse, uncover. A primitive root; to denude (especially in a disgraceful sense); by implication to exile (captives being usually stripped); figuratively to reveal: - + advertise, appear, bewray, bring, (carry, lead, go) captive (into captivity), depart, disclose, discover, exile, be gone, open, X plainly, publish, remove, reveal, X shamelessly, shew, X surely, tell, uncover. Num 5:15 “Then shall the man bring his wife unto the priest, and he shall bring her offering for her, the tenth part of an ephah of barley meal; he shall pour no oil upon it, nor put frankincense thereon; for it is an offering of jealousy, an offering of memorial, bringing iniquity to remembrance. Num 5:30 Or when the spirit of jealousy cometh upon him, and he be jealous over his wife, and shall set the woman before Yahweh, and the priest shall execute upon her all this law. In the previous scripture in my studies I have recently come to the conclusion that a woman is covered by her husband’s authority. However, in the above mentioned verses a woman who was thought to have committed adultery was brought to the priest by the husband with an offering for her sin. The priest then “uncovered” the woman’s head and gave her the bitter waters to drink. If she was found guilty she bore her iniquity. Some references will tie 1 Corinthians 11:6 and Numbers 5 together. Since the husband was physically present when the woman’s head was uncovered, he couldn’t have been her covering, and unless the priest shaved off her hair this scripture is referring a physical covering that protected the woman from her sin! 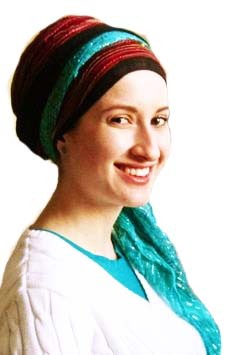 In conclusion I have ascertained that from the Scriptures, headcoverings have and continue to be worn by women who desire to do Yahweh’s will. It is worn in submission to the husband, his authority and covering of protection for his wife, to Yahweh and what He has established from the beginning. I do not wear headcoverings all day long but I will put one on during bible studies, services, or times of worship that shows I am in submission to my husband. Although there is one scripture in the bible that we base this finding on, many examples show us that women of Yahweh wore coverings and understand their role in the family dynamics. It is very important when deciding matters that are not clearly stated in the bible that you pray for discernment and understanding and make sure that changes you make in your worship are backed up by Bible.